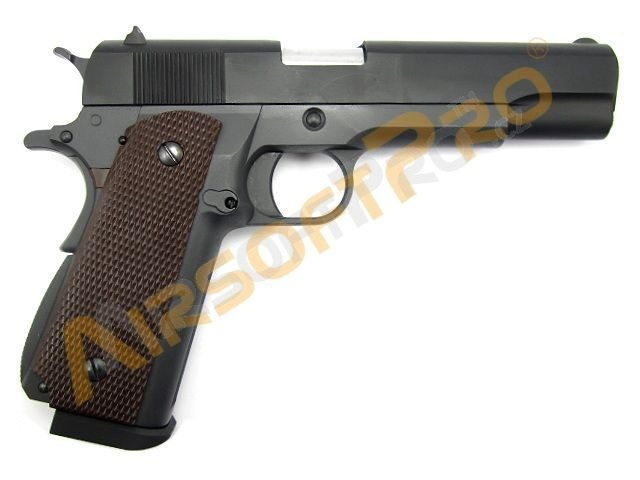 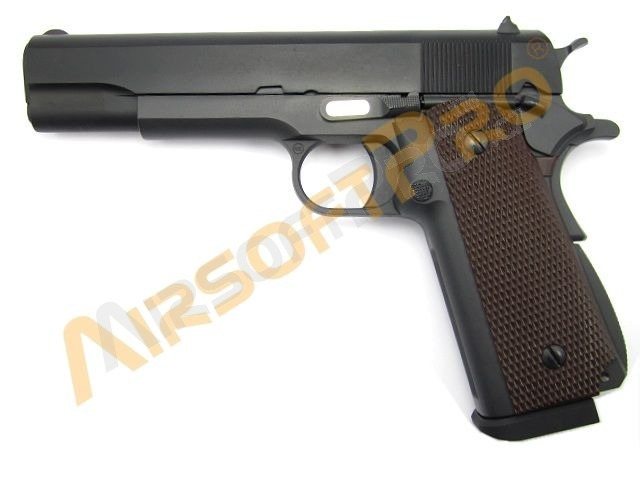 WE full metal 1911 A1. 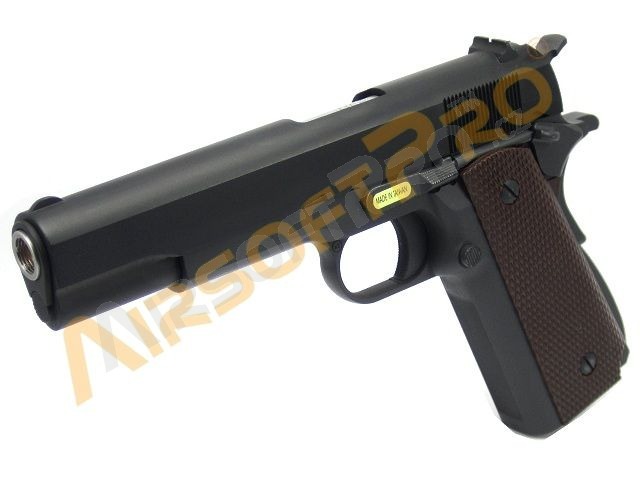 Gas blowback version with double column magazine. 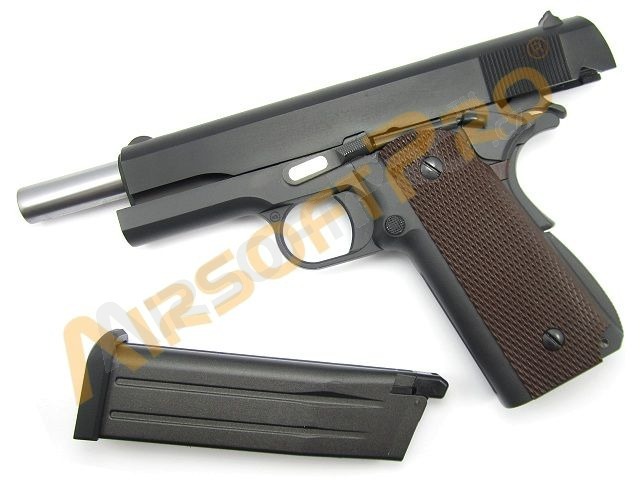 Fit standard HiCapa magazines so you can use CO2 magazines. 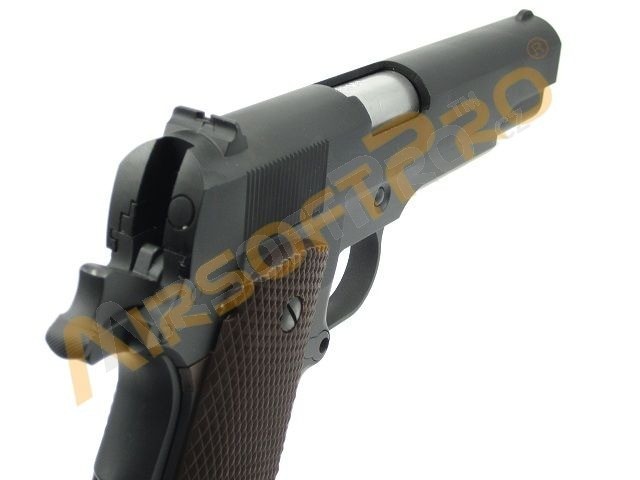 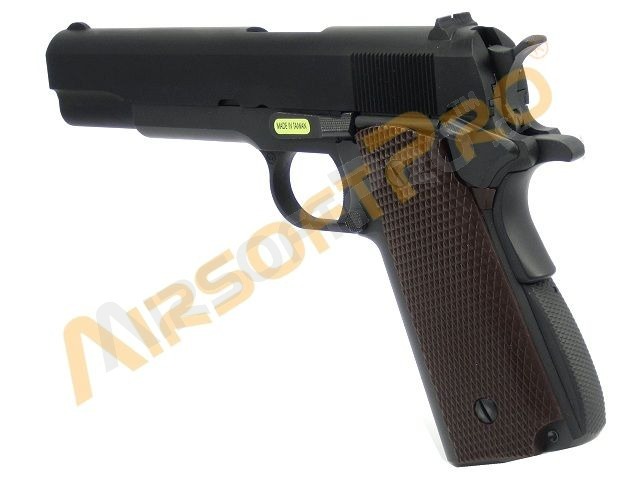 Heavy and durable airsoft gun.